We’re celebrating National Pollinator Week with the 2nd annual Bee Bash with Bee Downtown. Stop by the roof 6-8:30 for some bee fun, a honey-themed drink & snack menu and beautiful city views. Bee Downtown beekeepers will show off some of their clear observation hives, allowing you to safely get up close and personal with the bee community. 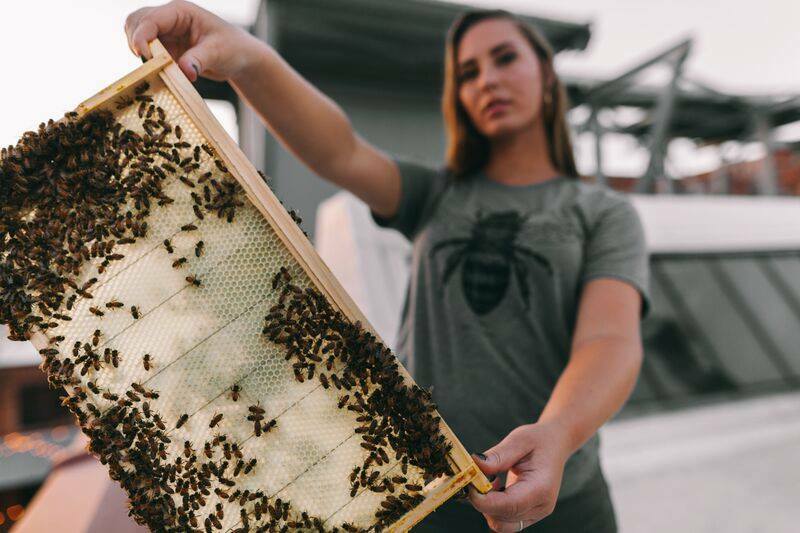 Enter the raffle for a chance to win a few sweet treats and a tour of the Bee Downtown Community Apiaries and check out new balm, soaps, and honey from Bee Downtown.